Reading is probably the most important skill that your child will learn in primary school. It opens up a whole new world of learning and imagination. The more you help your child at home, the easier they will find it to develop this vital skill. This page offers some pointers on the best ways to support and encourage your child as they learn to read. Reading bedtime stories and enjoying books together. Point out words as you are out and about, road signs, shop fronts, posters, price lables and packaging. Share a book. Re-read your favourite book night after night. Let your child see you reading a book, magazines and newspapers. Choose a time when you are both relaxed somewhere quiet. Look at the cover together and talk about the book. What do you think this book is about? Have you read one like this before? Find clues in the pictures as to the meaning of the words. You could give them the first sound to help them or read the word for them if that helps the flow! Let your child guess if they are nearly right or it makes sense let them go on with the story! Ask your child to tell you about the book they have just read. What do you think is going to happen next? Draw a picture about your favourite part of the book. Is it the setting or the character? Is your book fiction or non-fiction? What have you learnt? Make a model about your book. Have you read another book by this author? Why? Praise your child for getting it right! Children can really develop their reading skills if they read every day. It is very helpful for them to read to an adult at home so they can talk about the book with you. Please make sure you sign your child's contact book every time they read. 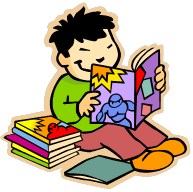 Once your child has read ten times at home, they will get a sticker on their book mark. Once they have 5 stickers ( 50 reads), they will be able to come and get RED TED! Every time they complete a book mark ( 5 stickers= 50 reads) then they can come and choose a book to keep. 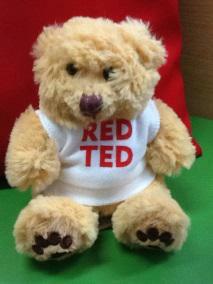 We remind the children that RED TED really loves to listen to stories so the children must read to their bears every day. Recommended reading books for older children. Click on this link to go to the coolest story writing page. There are some terrific free resources, over 100 free ebooks for you to share with your child. There are tips for keeping up with reading in the holidays, fun ways of intergratinfg reading into everyday life and a whole host of games and activities for children to enjoy. TAKE A LOOK ! Follow this link to look things up in a Dictionary.